Given that the last time I was in Seattle was over twenty years ago, I arrived with almost no memory of the city. 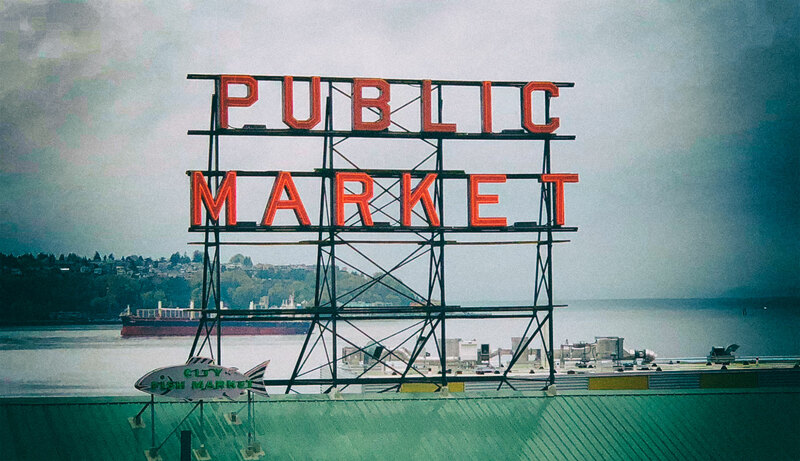 All I had were about ten photos from 1995, most of them from the Pike Place Market. So, if I were going to anchor my visit with any experience, it would have to be with a visit to this historic site. While I realise that the photo above is probably one of the most familiar images taken in Seattle, I needed a copy of my own. The unique thing about the market is not any one specific spot — other than the flying fishes at Fish Market — but the abundance of high-quality food available to this wealthy and privileged city.